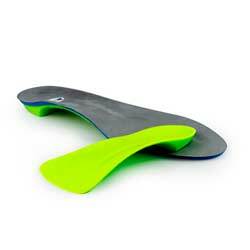 Interpod design clinically proven products to treat overuse injuries of the lower limb. Our products are available only to practitioners. 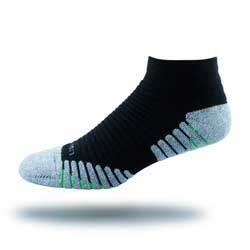 Interpod simplifies the complexities of foot biomechanics to design clinically proven products available only to practitioners, for immediate and cost effective treatment. 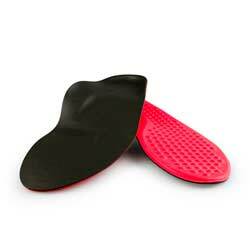 The ultimate supination resistance measuring tool. Finally, a prescription tool that provides objective results! Independent University research evaluated the effectiveness of Interpod design features. We consult Allied Health Practitioners, clinicians, athletes and coaches to design our range of products. Interpod combine biomechanical, laboratory and clinical experience. We understand what’s needed to make your practice a success. 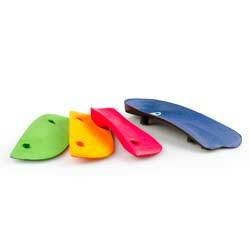 Our orthotic designs are supported by Independent research. We simplify complex lower limb overuse injuries with an immediate, non invasive treatment option. Effective, easy to prescribe, functional products. Interpod combines the use of premium materials with research to create products that are clean and simple. International studies from La Trobe University, Australia, Duquesne University, Pittsburgh, PA, USA. NHS Orthopaedic Department, UK.